If you are over 16, you can find work as a film extra through agencies and online sites. This is a good way to make extra money, but is also great experience for anyone who is looking to work as an actor in the future. There are some agencies that also require people under 16, but you will need your guardian's permission for this. Work as a film extra can involve a variety of roles. Some include simply being in a crowd for different scenes, whereas others are more elaborate, such as being a security guard, car crash victim and roles with just one line. 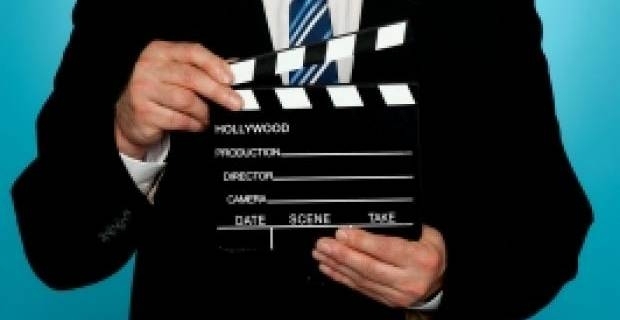 Usually, film extras don't have much involvement in the filming process and don't have many lines to learn at all, but it is important to know how to compose yourself and act in front of the camera for the role. Some roles can also include 'look-alike' positions. If you look like an actor in the producer's film, you can find work as their body double or a double for them. This won't include stunts or anything that requires specialised skill, however. Earnings will vary depending on the role and the agency that employs you. Some agencies and companies will pay from £50 to £70, whereas others for more elaborate roles will offer over £100. If you're not lucky enough to double as a celebrity, you may find more work by having a distinctive look. Competing for regular crowd positions can be difficult, as many people will be applying. However, if you have a distinct look or style about you, you are more likely to fit the bill of a particular film or director. For example, identical twins receive more work as film extras, second only to celebrity look-alikes. For work as a film extra you can either apply online or directly to an agency. Most agencies have their own website anyway, so it is better to sign up to their database and allow your profile and picture to be searched freely. Lemoncasting.co.uk, Universalextras.co.uk and filmextraswork.com are just some examples of sites with potential film extra vacancies available.